Hunter or hunted? How much longer will these magnificent beasts prowl the plant? These stories will touch your heart. The 48-page Level 3 books, designed for children who can read on their own, contain more complex sentence structure and more detail. Young readers will devour these kid-friendly titles, which cover high-interest topics such as sharks, and the Bermuda Triangle, as well as classics like Aladdin. Information boxes highlight historical references, trivia, pronunciation, and other facts about words and names mentioned. Averaging 2,400 to 2,800 words, these books offer a 50/50 picture-to-text ratio. The Dorling Kindersley Readers combine an enticing visual layout with high-interest, easy-to-read stories to captivate and delight young bookworms who are just getting started. 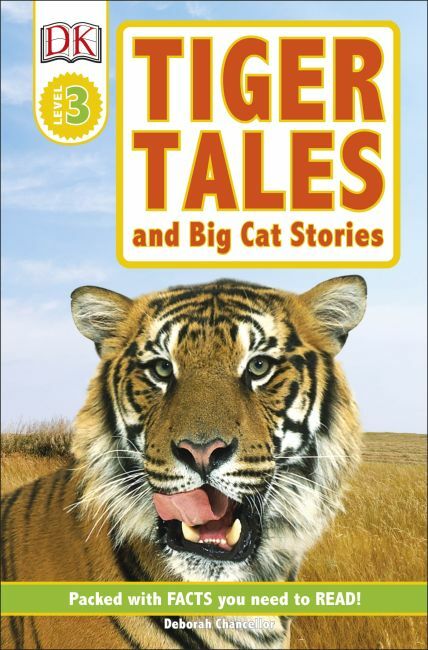 Written by leading children's authors and compiled in consultation with literacy experts, these engaging books build reader confidence along with a lifelong appreciation for nonfiction, classic stories, and biographies. There is a DK Reader to interest every child at every level, from preschool to grade 4.